The Parish Council owns and manages two allotment sites. 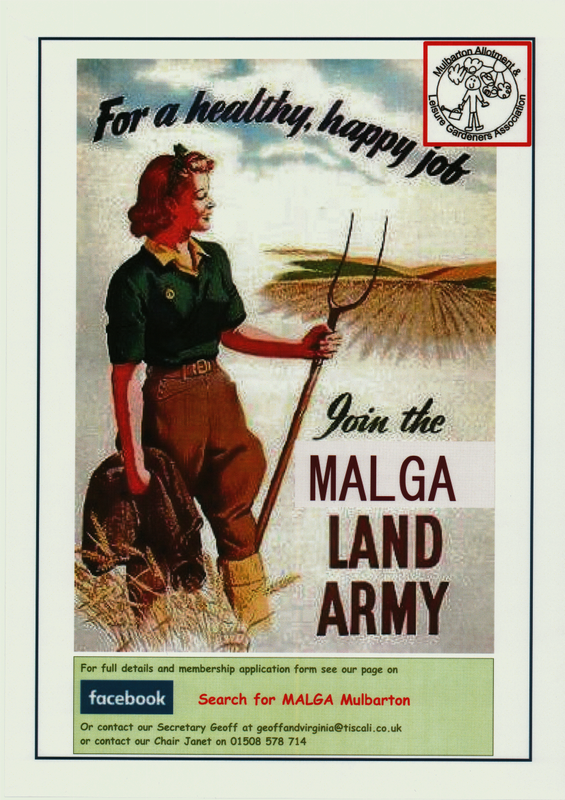 The Meadow’s site is on Cuckoofield Lane and the Swamp is on Norwich Road. 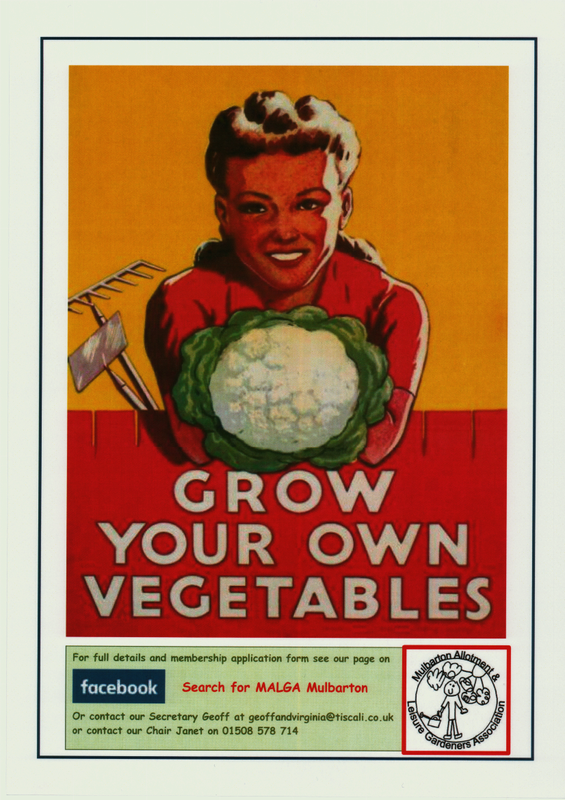 For inclusion on the waiting list please complete the form below or contact the Parish Clerk for further details. 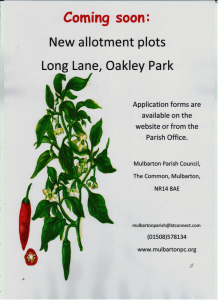 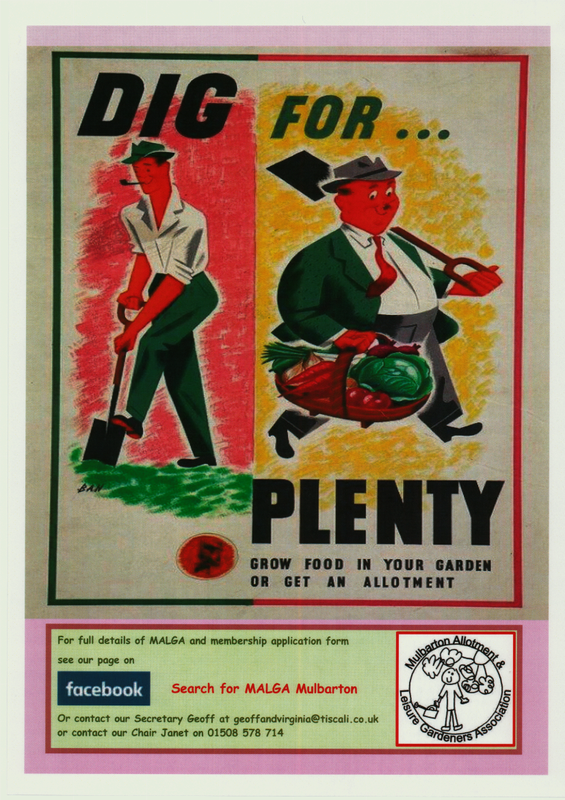 allotment waiting list request – Applications forms are also available from the Parish Office. 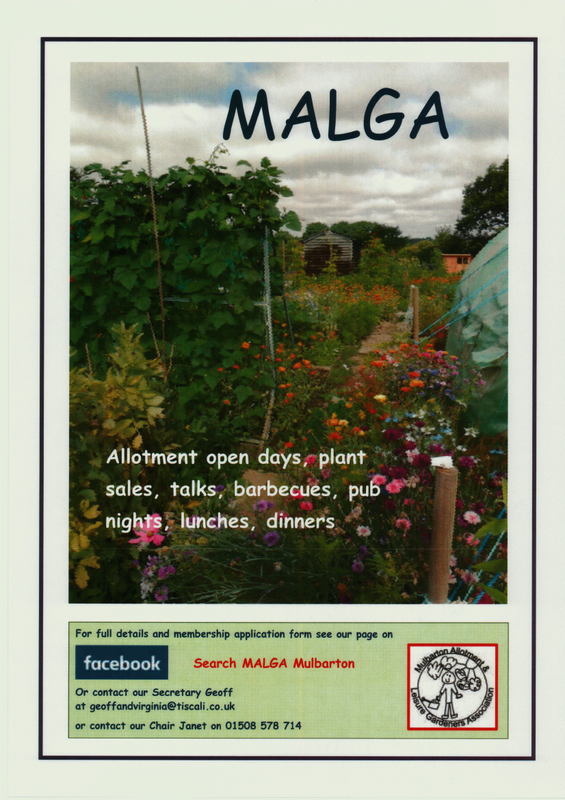 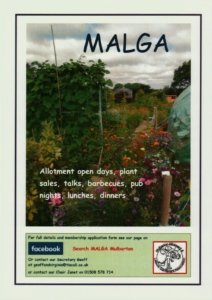 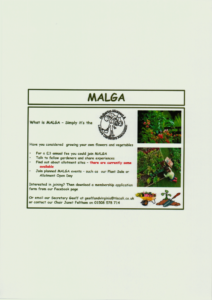 MALGA – Mulbarton Allotment and Leisure Gardens Association – is a local organisation for all gardening enthusiasts, you do not need to be an allotment holder to join. 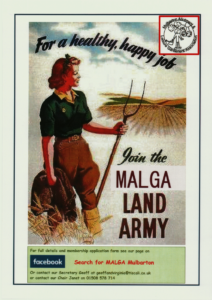 Monthly meetings are usually held in the World’s End Public House. 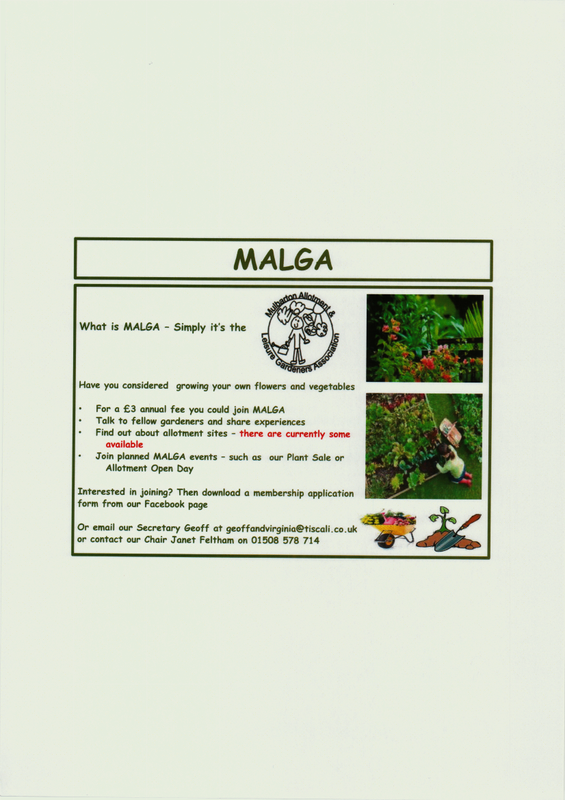 For information please click here. 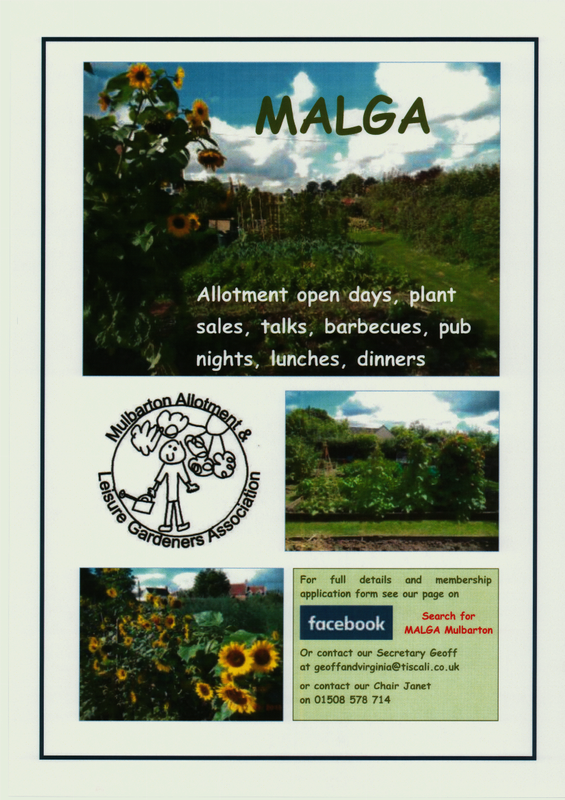 If you enjoy the outdoors, we are always looking for volunteers to help maintain the Jubilee Garden on Cuckoofield Lane. 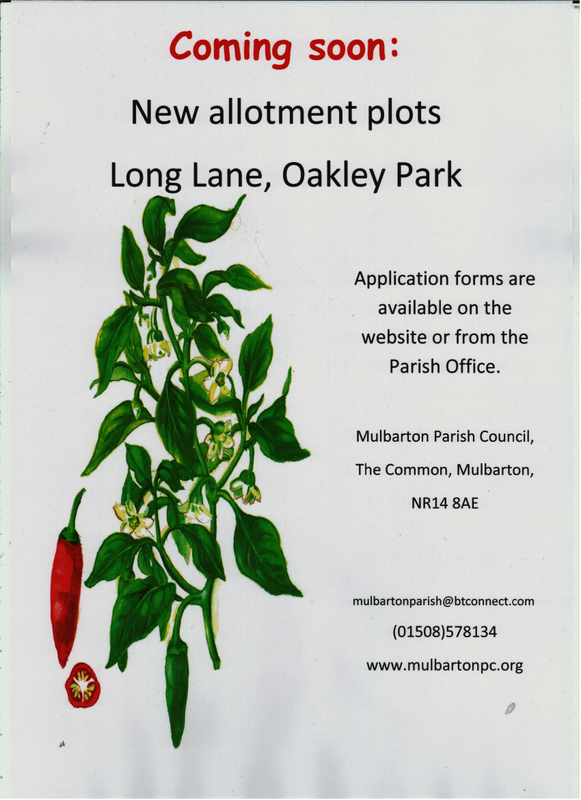 No long term commitment needed, please contact the Parish Office for more information.